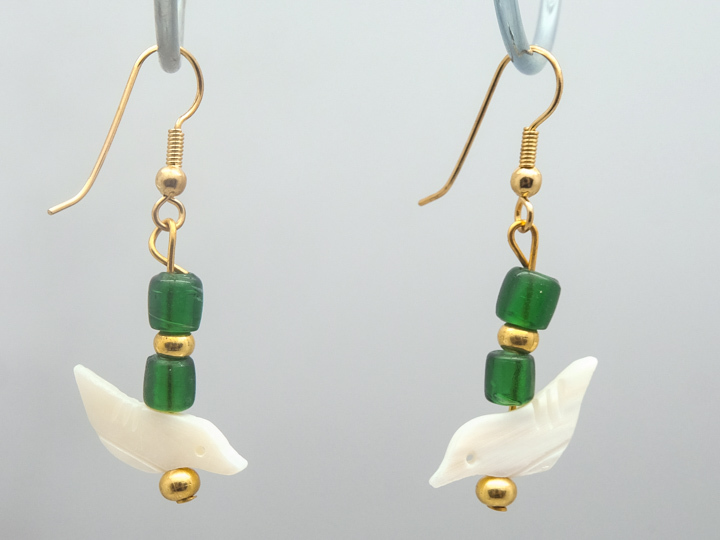 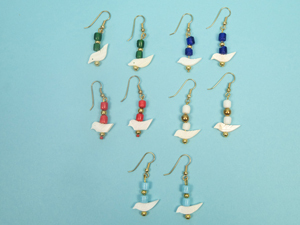 Shell bird fetishes hang on earrings made with brass and assorted colored glass beads. The glass beads come in assorted colors such as green, dark blue, baby blue, red, and white. 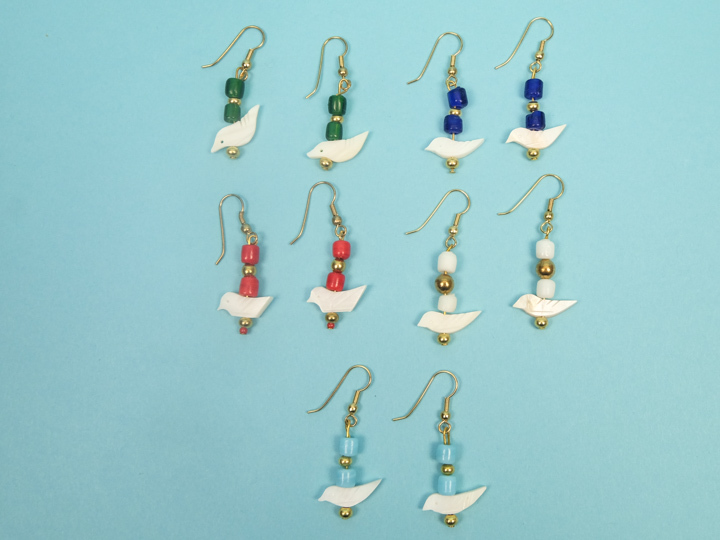 Let us know if you have a color preference for the glass beads, otherwise, we will send an assortment of colors.